I tastespotted this cake over on Yahoo Shine around Memorial Day and I knew I had to “glutenfreeify” it. 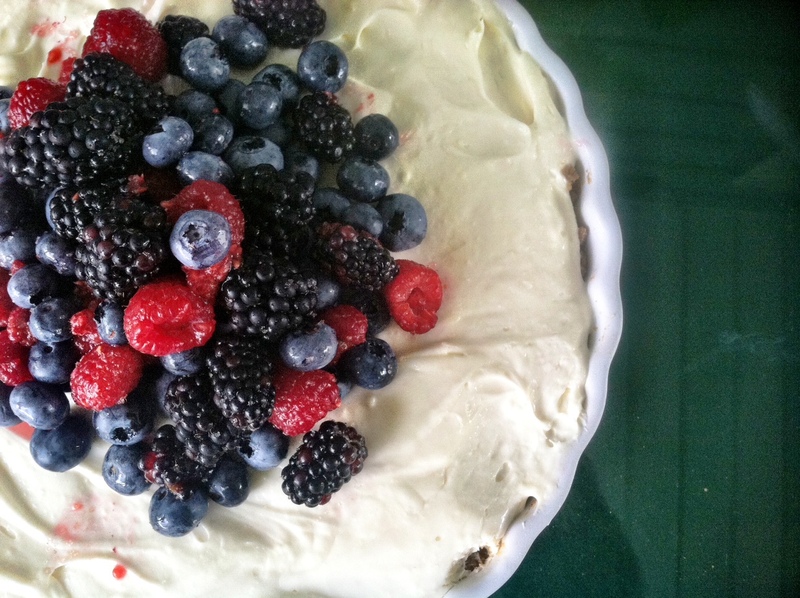 This no-bake cheesecake is super simple and uses fresh seasonal summer berries. Homemade is so much better than those out the box no-bake cheesecakes. 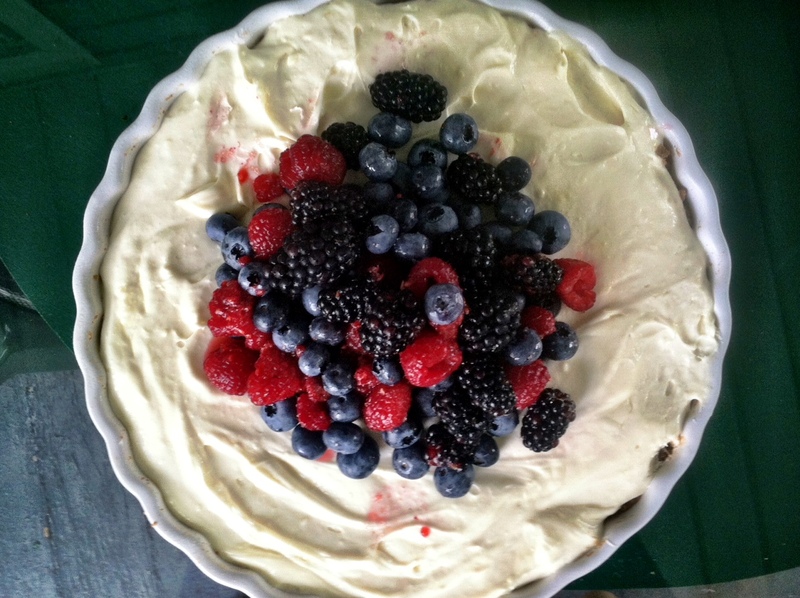 This was the perfect dessert for a summer function I was invited to which is why I decided against making it dairy free. I’m not sold on the vegan cream cheeses that are on the market. In my opinion, vegan cheesecakes are too labor intensive and the end result is not worth the trouble. However, my version is gluten free as I used gluten free graham crackers to make the crust. Check out the awesome recipe by clicking the link below!